Every year the people of Scotland celebrate Burns Night, an evening commemorating the life of poet Robert Burns (January 25, 1759-July 21, 1796) on the anniversary of his birth. Even if you are unfamiliar with the Scottish poet, you are bound to know his poem ‘Auld Lang Syne’. That’s right, the song we sing as the bells ring in a new year was written by Burns! 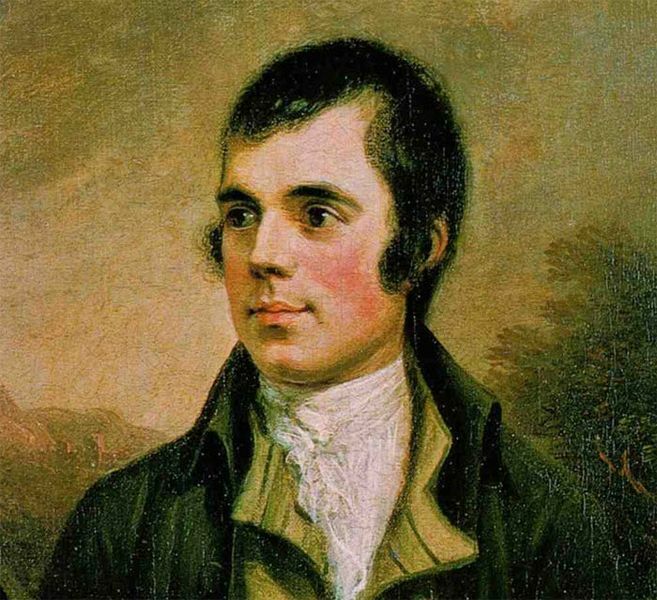 Burns Night events have been happening since 1801, just five years after the poet died in 1796. The first Burns Night was when his friends came together to mark the anniversary of the great man’s death, it was then decided that a feast would be held every year in his honour. It’s a fantastic reason for friends and families to get together; eat, drink and of course, read the poetry of our national bard. This year at The Real Mary King’s Close we are celebrating Burns Night with a brand new event. On the 26th of January 2018 The Real Mary King’s Close, in partnership with Wedgwood the Restaurant, will be serving up the perfect celebration of the birth of Robert Burns. Bringing together poetry, history and the best locally sourced produce, guests will experience an indulgent evening of heritage, poetry and delicious food. This exceptional event will begin at 6.30pm with a three-course meal at Wedgwood the Restaurant, showcasing the best in Scottish cuisine. Guests will then be treated to a recital of Burns poetry, before being escorted to The Real Mary King’s Close where they will enjoy a Burns inspired guided tour of the uniquely preserved streets and spaces. The evening will finish with a dram of whisky in the beautiful Burgh Courtroom, where guests can raise a glass to Scotland’s favourite son.